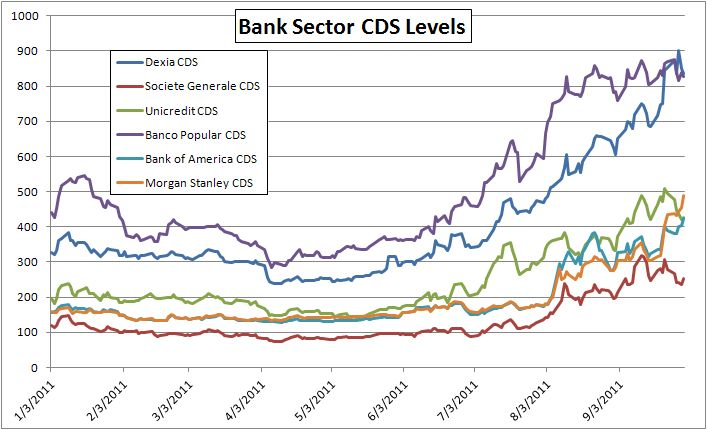 The CDS is priced differently for each company and as a percentage of the value of the debt to be insured. A five year contract is regarded as the benchmark. CDSs are traded like many other financial instruments and so the price is constantly moving. So for example the price of a CDS on bonds issued by Barclays is currently priced at 134 basis points - that is 1.34 per cent. In other words if you hold £1m worth of Barclays bonds you can insure yourself against them defaulting on this debt in the next five years by buying a CDS for £13,400 a year. This will eat into your profits from the interest Barclays pays, but it gives certainty and peace of mind.